Breathe in the air! 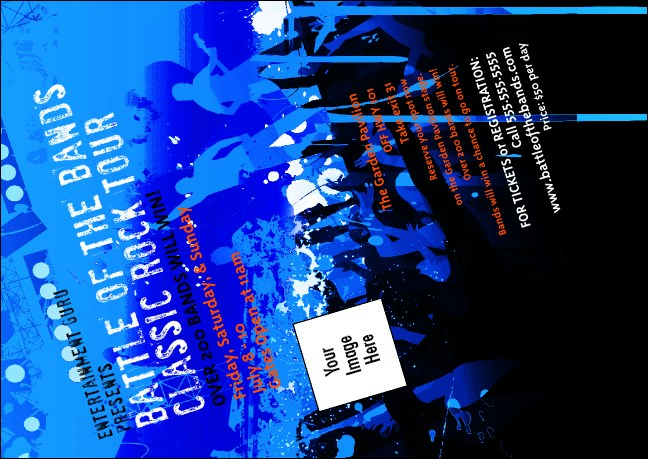 Rock Concert Blue Club Flyer lets you send a fresh breath to your eager fans. Spread the word about the big show with an enticing band design in misty blue. Upload your own image and choose a matching Event Kit and watch ticket sales soar! No need to dream on! Whenever you want the right design, just come to TicketPrinting.com.